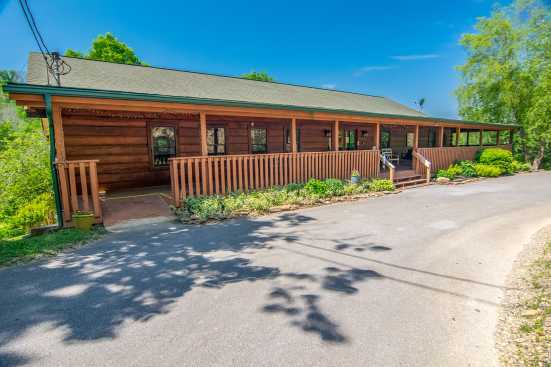 Whether your traveling with your family or a large group of friends, we at SMBYO.com assure you that you will have a fantastic time vacationing in Sevierville, Tennessee. Welcome to the quaint Southern city of Sevierville, Tennessee and the surrounding communities. This area is near the world-renowned Smoky Mountain National Park. Spend at least a few days in the famous park hiking trails and gazing upon the unbridled nature off of various mountain ranges. If you're looking for a truly unique way to get an aerial view of the area, head to one of the many local companies offering hot air balloon tours. If you have wine drinkers on vacation with you, make sure to check out Hillside Vineyard. Take a tour of the vineyard and learn a variety of unique and interesting facts about how the vineyard ferments and produces their wine. Don't forget to end your tour by sampling a few of the different wine varietals made on premise! From the hiking trails to hot air balloon tours guest are sure to fall in love with the majestic beauty of Sevierville and the surrounding communities. Smokymountainsbyowners.com is the best and most efficient way to find, plan, and book your vacation rental property. SMBYO.com aims to take the hassle and stress out of planning and booking your vacation rental property, so all you must do is decide which adventure to partake in first. Book now, you won't regret it!